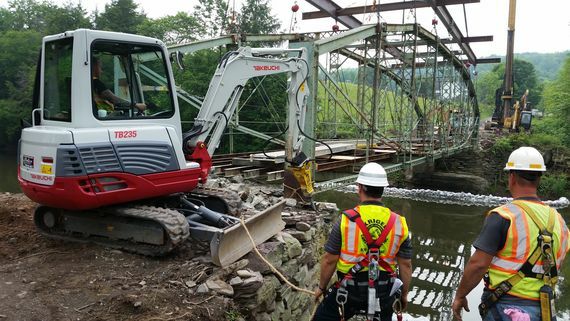 McCormick Taylor provided all engineering services for the relocation and restoration of this historic bridge—one of only four lenticular truss bridges still existing in Pennsylvania—carrying S.R. 1029. Originally designed and constructed by the East Berlin Iron Bridge Company in 1881, the Pierceville Bridge is a lenticular truss bridge located on S.R. 1029 over Tunkhannock Creek in Nicholson Township, PA. The existing bridge was closed in 2005 due to structural deficiencies stemming largely from vehicular impact damage and gross deterioration of the floor system. It was decided that a new crossing for S.R. 1029 would be established by relocating the existing historic truss bridge and constructing a new bridge in its place. To maintain the no-adverse effect, the relocated historic truss was rehabilitated as part of the project. The bridge’s rehabilitation included taking it apart, cleaning it, repainting it, and repairing any damage it had sustained. McCormick Taylor provided all engineering services for the development of the relocation, restoration, and new bridge construction. 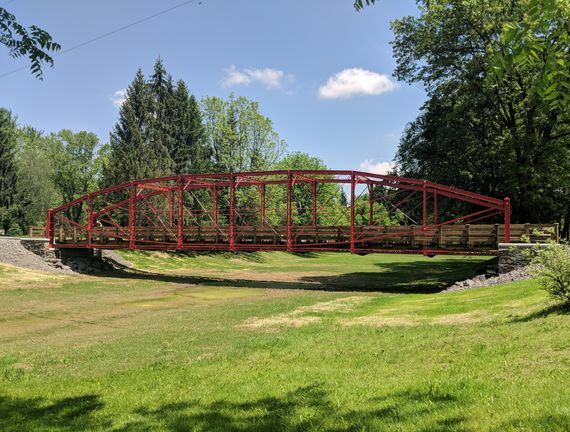 This included environmental and historic permitting and clearances to relocate a highly historically significant truss bridge to a township park setting. McCormick Taylor was also extensively involved during construction, providing engineering reviews and consultation of detail demolition and erection plans, as well as ensuring shop drawings were in compliance with both the structural design and maintained historic integrity. 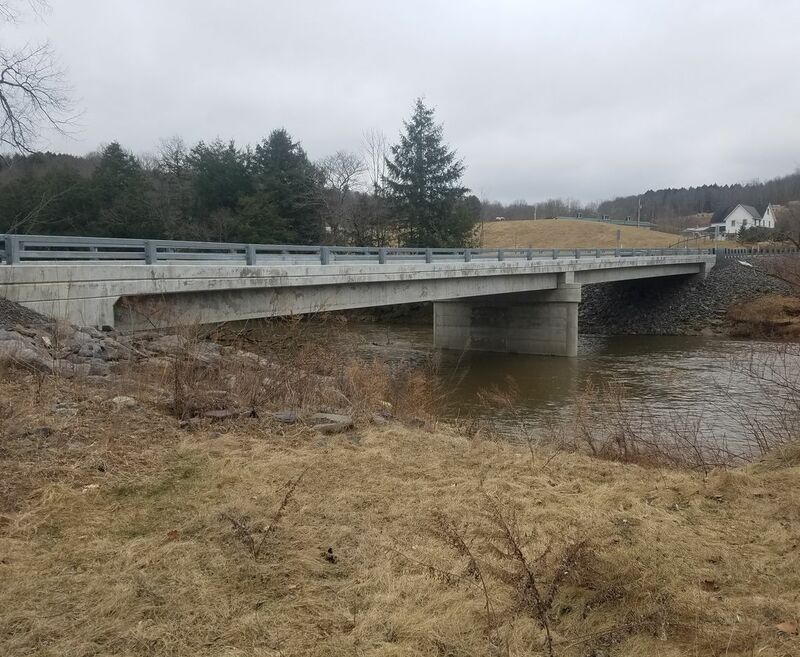 A new 172-foot-long, two-span prestressed concrete box beam bridge with integral abutments was designed for the replacement structure. The bridge is open to traffic and has reestablished a secure continuation of S.R. 1029 over Tunkhannock Creek. 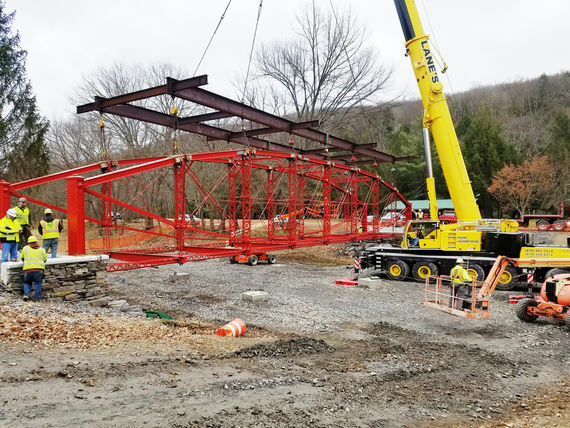 The historic 113-foot-long truss bridge was restored to a near original condition and relocated six miles downstream to the nearby Lazy Brook Park. The bridge is open to serve primarily pedestrian traffic and has a six-ton emergency vehicle rating, as well. It is hoped in the current setting this truss can continue to serve as a testament to the engineering accomplishments of the early 1880s for another 130+ years.